Chambers Bay Golf Course, the host of the 2015 U.S. Open in University Place, Washington, also happens to be the best sunset wedding venue in the Tacoma area. The sunset on this bride and groom's wedding day had some nice clouds and beautiful colors, both in the sky and reflecting off the waters of Puget Sound below. We watched the sunset develop during their wedding reception, waiting for it to reach its peak before running out onto the patio for a five-minute photo shoot. 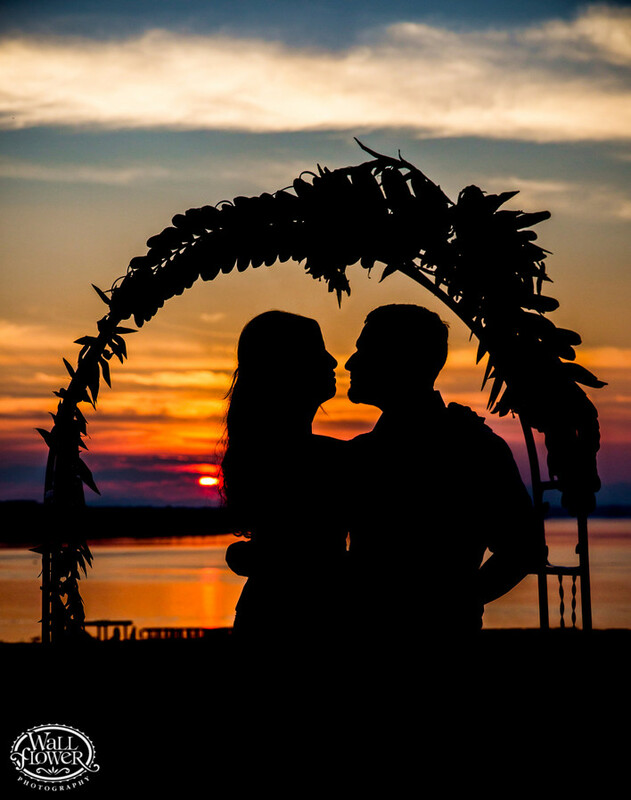 In addition to using my lights for a variety of portraits in which you can see the newlyweds' faces, I got this silhouette photo under their wedding arch. We do love silhouettes, and this one is one of our favorites!